Let’s suppose we are in Congo-Brazzaville, Africa, close to the equator. When we are watching a sunset happening, we can agree that somewhere else in the world, there is a location where the Sun is directly overhead. According to our map, the location in Ecuador, South America. From the so-called ‘flat-Earth map,’ we also know Ecuador is northwest from Congo-Brazzaville. 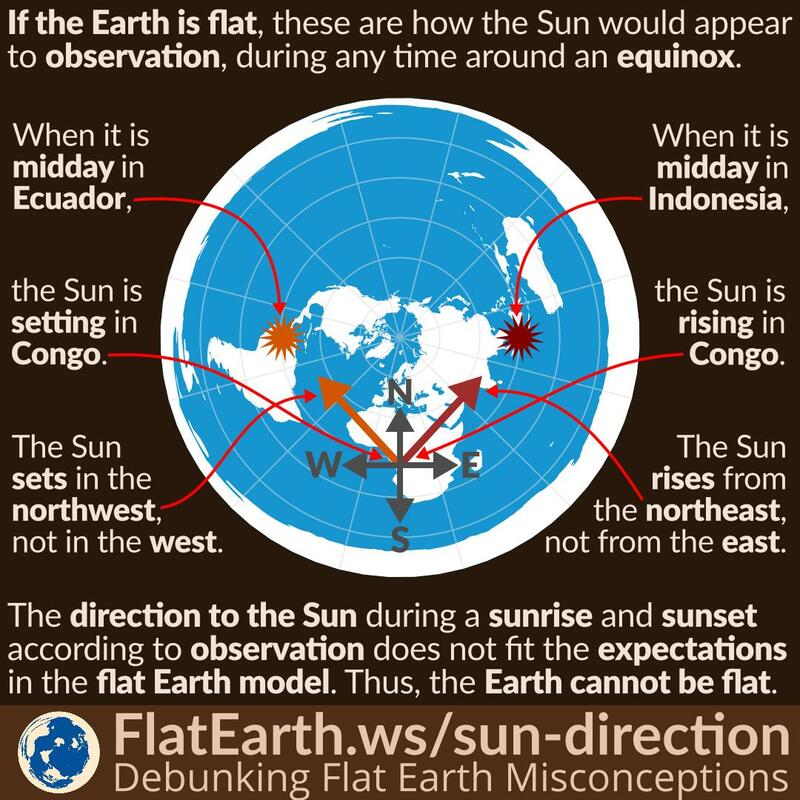 However, according to observation, the Sun sets in the west, not in the northwest like ‘the flat-Earth map’ says. Now the same thing but for a sunrise. During the time we see a sunrise in Congo-Brazzaville, there is a location on Earth that is having midday. The location is Riau Islands, Indonesia. Using the so-called ‘flat-Earth map’, we know Riau Islands is northeast from Congo-Brazzaville. This expectation does not fit our observation, because the sun rises from the east, not from the northeast. 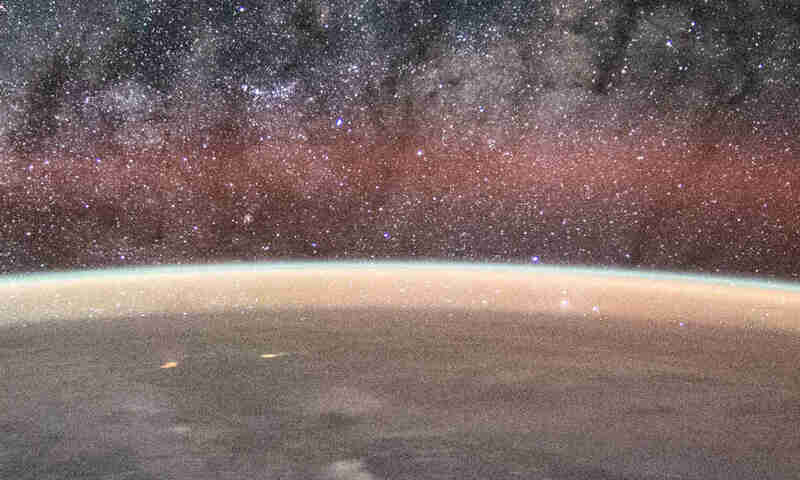 It is not hard to rule out the flat-Earth model from simple observation we can do ourselves every day.